Seth M. Noar joined the UNC School of Media and Journalism in July 2011. He also is a member of UNC’s Lineberger Comprehensive Cancer Center. Noar’s research interests are centered in health communication, particularly how to harness traditional and new media to promote healthy behavioral changes among individuals and communities. This type of research involves understanding and applying behavioral theories that advance our understanding of the behavior change process; testing message design theories and frameworks to best understand what types of messages will be most resonant and persuasive with target audiences; and evaluating interventions in carefully designed randomized and quasi-experimental trials. For more than a decade, much of Noar’s research was focused in the HIV/AIDS area. He worked on National Institutes of Health (NIH) projects developing and evaluating televised media campaigns to increase safer sexual behaviors. Noar’s research has recently been more focused on cancer prevention. He has conducted research to advance an understanding of the impact of celebrity cancer diagnoses on media and person outcomes; how a combination of environmental changes and social marketing can impact fruit and vegetable consumption among elementary students; and how various belief systems of adolescent and young adult females affect their decision-making about indoor tanning behavior. Noar is also conducting significant research on anti-tobacco messages, including graphic warning labels on cigarette packs. He is the co-director of the Communication Core for the UNC Center for Regulatory Research on Tobacco Communication, funded by an FDA/NIH grant from 2013-2018. Noar has co-edited two books, “Communication Perspectives on HIV/AIDS for the 21st Century” (2008) with Drs. Timothy Edgar and Vicki Freimuth, and “eHealth Applications: Promising Strategies for Behavior Change” (2012) with Dr. Nancy Harrington. His work has been published in numerous peer-reviewed outlets, including Human Communication Research, Health Communication, Journal of Health Communication, Health Education Research, Psychological Bulletin, AIDS, Social Science & Medicine, Journal of the National Cancer Institute, and JAMA Dermatology, among others. Noar was named the 2016 Outstanding Health Communication Scholar by the National Communication Association (NCA). Noar was awarded the Lewis Donohew Outstanding Health Communication Scholar Award from the Kentucky Conference on Health Communication. The award recognizes outstanding research contributions to the health communication field. Thomson Reuters named Noar a “highly cited” researcher — indicating that he is among the top 1 percent most cited researchers in the social sciences. (Reuters Health) - Gruesome photographs on cigarette packages may deliver more effective anti-smoking messages than words, a new analysis finds. Researchers reviewed previous studies comparing images to text warnings on cigarette boxes and found pictures commanded more attention, elicited stronger emotional reactions, summoned more negative attitudes and made it more likely that smokers would vow to quit. “They say a picture is worth a thousand words – that really seems to be the case here,” said lead study author Seth Noar, co-director of the interdisciplinary health communication program at the University of North Carolina at Chapel Hill. The United States is one of the few developed countries that has a decades-old, text-only warning label on cigarette packages. The U.S. Food and Drug Administration has tried for years to add warnings with graphic images, but lawsuits from tobacco companies have halted the process. 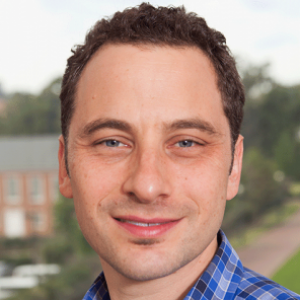 Professor Seth Noar of UNC's Lineberger Cancer Center has analyzed 37 studies comparing people's reactions to text-only warnings versus pictorial ones. The goal of this study is to systematically review perceived message effectiveness measures and conduct a meta-analysis of the association between perceived and actual message effectiveness in anti-tobacco communication studies. The goal of this study is to test the effects of physical activity calorie labels on point-of-decision food purchasing behavior and physical activity. The goal of this study is to systematically review the cigarette graphic warning label literature and conduct a randomized trial testing the efficacy of cigarette warnings in changing smoking behavior. The Center for Regulatory Research on Tobacco Communications (CRRTC) is conducting 3 integrated projects over 5 years to advance an understanding of effective communication about the harms of cigarettes and other tobacco products across the lifespan and among diverse populations. The Social and Behavioral Sciences core assists HIV/AIDS investigators with measurement, interventions, and accessing vulnerable populations.